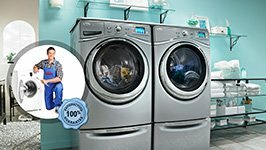 Quick home appliance repair, comprehensive service, friendly approach, fair prices, and expert pros! That's what describes our company. The intention of Appliance Repair Cranford is to help clients maintain safe and fully operational units. 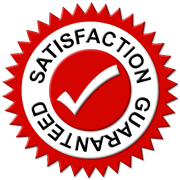 We do that by responding as quickly as we can, paying attention to every single detail, respecting your appliances, using quality spares, and doing every appliances repair job by the book. 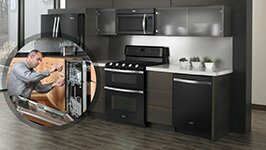 Which features identify our appliance repair company? We are committed and ready to assist you. That was the meaning of the inception of our company, Cranford Appliance Repair, in the first place. As a matter of fact, we follow the example our own home town offers. The motto in Cranford, New Jersey, is friendship and progress. We would add respect to the environment and our own legacy. That's portrayed through the tens of parks and the careful preservation of historic sites. In our team, we might keep a strictly professional approach but don't forget the importance of politeness. 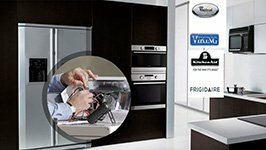 So each appliance technician is friendly and also fully updated and well prepared to address any problem. Count on us for quick Cranford appliance repair. Leaks? Noises? Broken gaskets? Call us. We can fix the washer that won't drain, the dishwasher that overflows, the oven that doesn't heat up, the fridge's temperatures and any other problem with your appliances. Want to remove lint from the dryer? 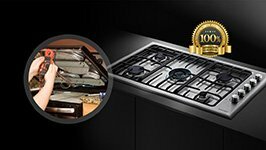 Want to replace the gasket of the oven door? Our pros replace any part and troubleshoot to isolate the defected components. What we also do is regular inspections to check the condition of your appliances and maintain them. Such a routine appliances repair service allows your units to function much better utilizing the right amounts of energy needed. So you stop having daily problems, losing energy, dealing with leaks, or having a hard time using the appliances. And you can also call our Appliance Repair in Cranford for new installations. Are you planning to buy a new stove or dryer? From washers and ovens to ranges and dishwashers, we install all new appliances so that you can be sure of their efficiency. Our company is here to take care of your requests. Contact us.